If you want to sell something online, the first place you probably think to turn is eBay. While eBay may be all well and good if you just sell the odd item once every year or two, it's not a good choice if you're going to be selling things regularly. While there are people out there who do do a lot of regular selling over eBay, there are a huge range of services out there which are much better: Sellr is one of those services. In today's blog post I would like to talk to you about the reasons why Sellr is better than eBay. - For free, you are able to list and sell a limited number of items on eBay. - For free, Sellr gives you the tools needed to create your very own website which you can list several items on. 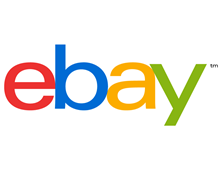 - Certain eBay users may sign up to a premium services so that they can rank more highly in eBay searches, list more products and can get an 'eBay store'. - Sellr offers a variety of paid packages; from the smaller "Sellr Go" package (£9.99 a month) which lets your website stand without any advertising, to "Sellr Pro" which, if you pay for the £199.99 annual package, means we'll make you a unique website to your specifications! Plus, you could go even larger, such as with the "Sellr Business" package (£49.99 a month) which will give you a huge range of highly useful marketing tools. - While eBay will allow you to list products on their existing site, there are millions of people doing the same and you are bound by the decisions they make. - Sellr provides you with an excellent range of marketing tools (as mentioned above) which are essential for getting people to find you. - While eBay can improve the chances of people finding your listings, you are still rather anonymous amongst the millions. - Having your own website with Sellr makes you look very professional and could be the perfect way to start off a business venture. - It would be very difficult to become professionally established over eBay. So as you can see, Sellr is the superior choice over eBay when it comes to choosing somewhere to sell things online. As I said before, for one-off sales, eBay may better, but for anything more substantial it's Sellr all the way! So if that sounds interesting to you, sign up to Sellr now and get started for no cost at all.